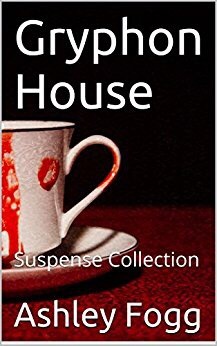 As a collection of three short stories, Gryphon House was a fast, entertaining read. The middle story “The Washer Woman” was, by far, my favorite. The titular tale “Gryphon House” was very brief, set a wonderfully foreboding atmosphere from the start, but fell a little flat at the end. If I were rating them individually, this one gets 3.5 stars. “The Washer Woman” gets 4.5 stars. It was a great blend of a kidnapping and detective story with a liberal splash of paranormal. Really great! The final tale “Time Cheat” has a lot of potential. I really enjoyed the story but, like “Gryphon House,” the ending just happened. I felt like here was an “a-ha!” moment brewing but it just turned into an “a-uh?” for me. I’d give this story 3 stars. So, all together? This was an enjoyable collection, well worth the short time it takes to read. I give it a 4 overall! If you’re interested, you can get your copy HERE. It’s free to read on Kindle Unlimited.